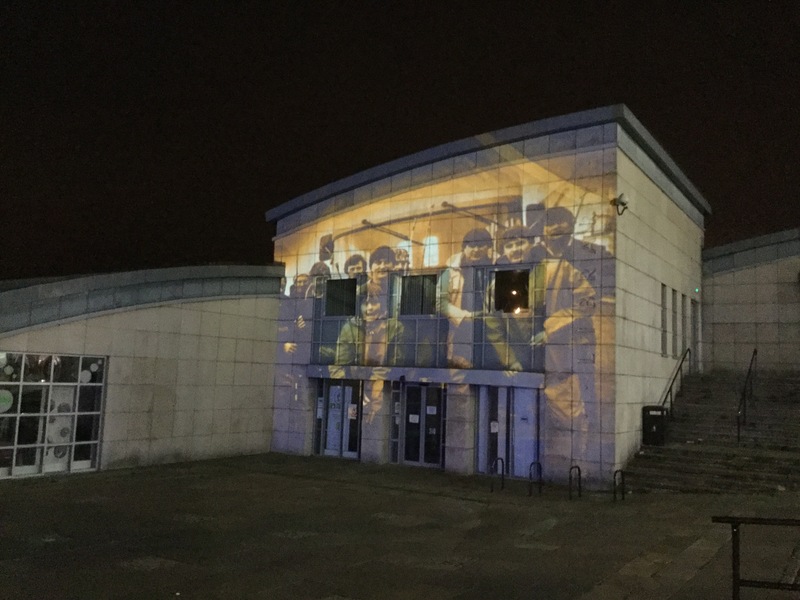 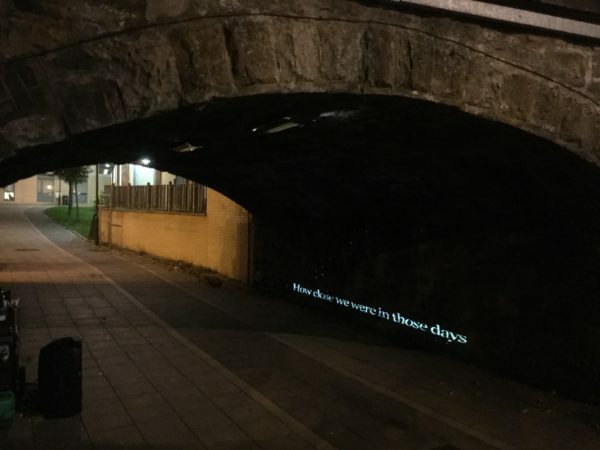 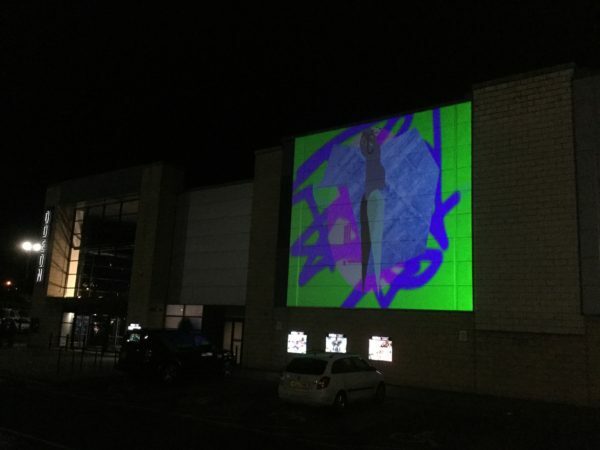 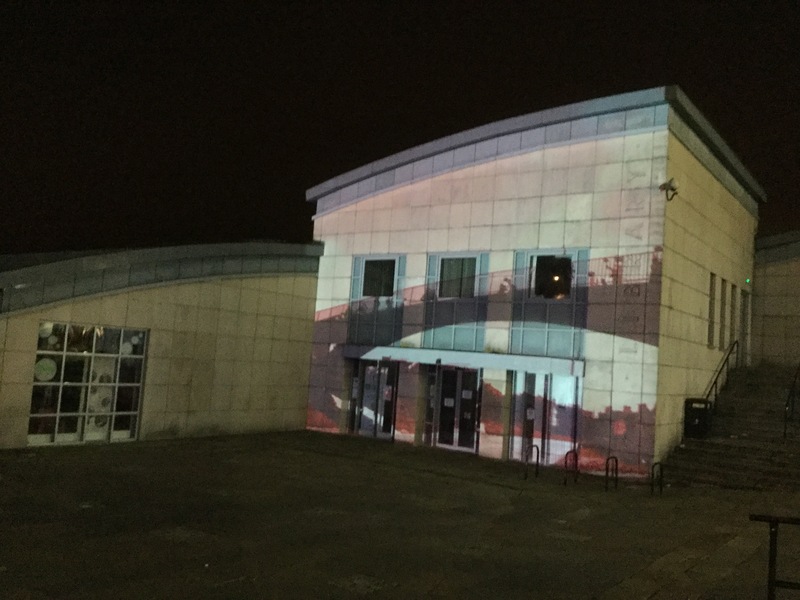 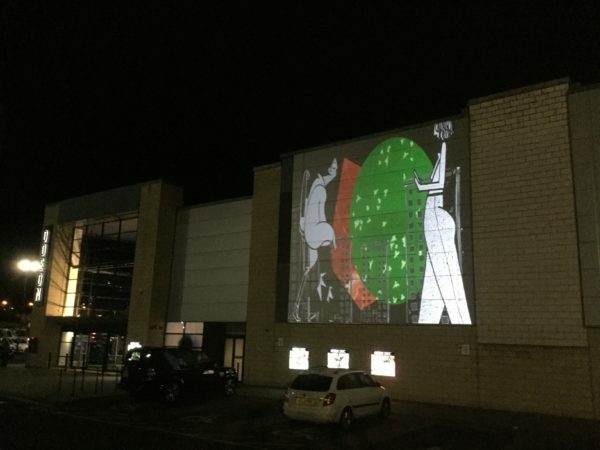 Wester Hailes was lit up on Saturday 20 October 2018, by a Film and Projection Trail as part of the Changing Perspectives: Wester Hailes Film and Moving Image Festival. 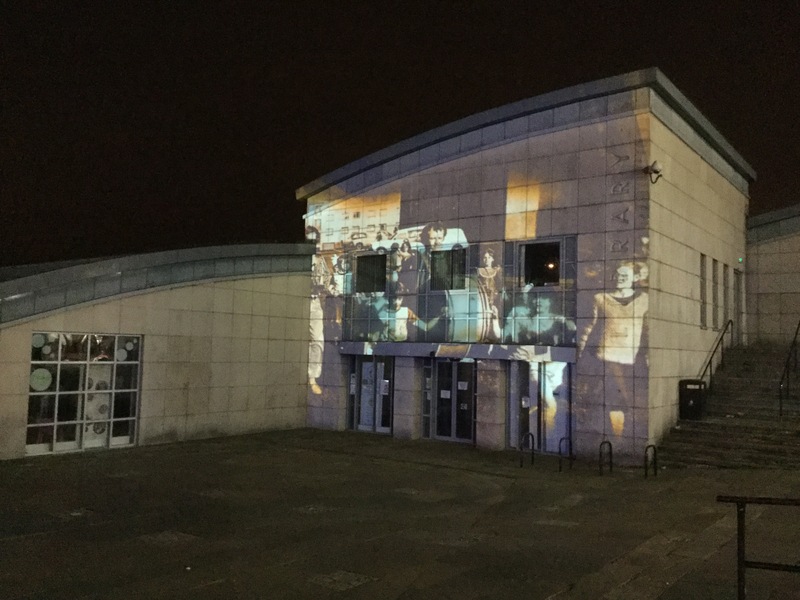 Blasts from the past with footage from the WHALE VHS Archive projected on to Wester Hailes library. 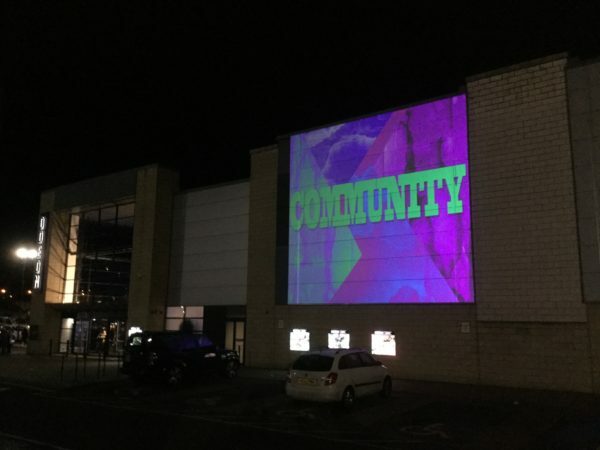 A new animation inspired by the Sentinel newspaper, created by artists Morwenna Kearsley and Bernie Reid titled Community Shape Squad was presented on to the Odeon. 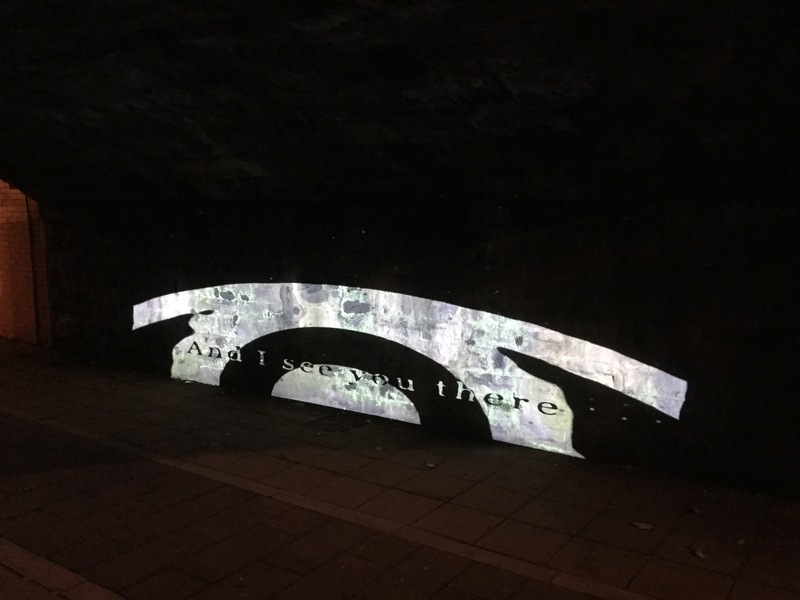 A musical and text installation of community song ‘Let’s Meet at the Underpass’ at the railway underpass near the Healthy Living Centre. 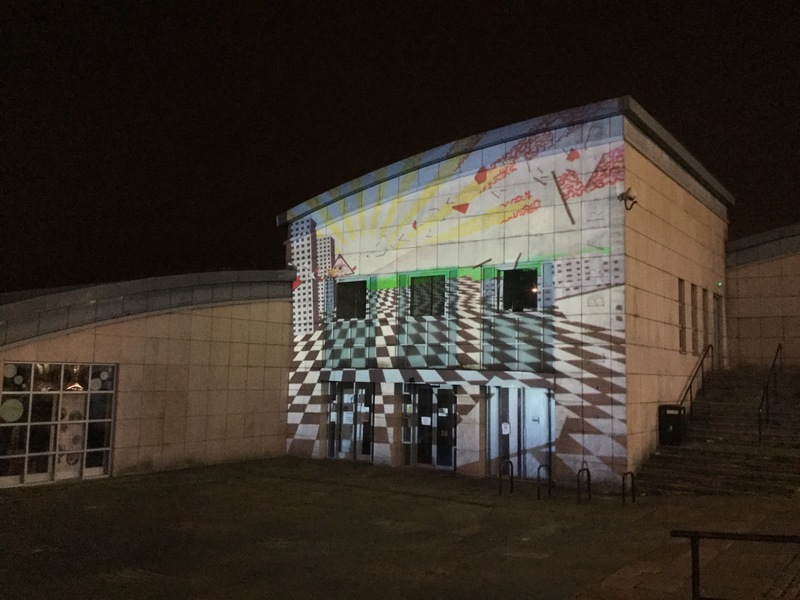 After enjoying the projections people were invited to the WHALE Arts Centre for some delicious soup and a family disco ran by Tasting Change.